It’s a core part of our business to provide farrier services to local horse owners, riding schools and trainers in Christchurch and Canterbury. Our international farrier supplies business and local farrier service go hand in hand and compliment each other. It’s all under one umbrella of New Zealand Farriers Limited. The established farrier business offers hot shoeing, trimming and advice to a carefully selected group of local horse owners who have their horses, ponies and other equines attended to on a regular cycle. We receive a significant number of new enquiries from local owners throughout the year. This in itself is pleasing as it demonstrates our services are in huge demand and clearly appreciated. Most of our new enquiries are referrals from existing clients. At certain times we have a waiting list of new clients as the sheer demand from potential new clients is greater than we can meet and it’s important for us to keep our client-list at a manageable level so we can provide the level of service we aim to deliver. We currently have two qualified farriers servicing clients in and around the region which includes most areas within 30 minutes drive of Christchurch and many other within an hour drive. One of the most enjoyable aspects of the outcalls is building relationships with regular clients and seeing improvements in their horses. The majority of horses we see are competition horses (dressage, jumpers, eventers), pleasure hacks, racehorses, pony club ponies and riding school horses. Some of the horses we attend to are shod but a large percentage are barefoot and need regular trims. We have a number of donkeys too on our books who are a pleasure to take care of. We use a variety of quality products on a day-to-day basis. Mostly Arthur Cottam Horseshoes – a large proportion of Roller Lites horseshoes on the front feet. These are quarter clipped and allow us to achieve improved angles and assist breakover. On the hind feet, we use Arthur Cottam Equi-shoe range namely Eco’s and Equi’s. We prefer mostly Derby nails, Heller Legend rasps and Jim Blurton hand tools. I personally rely on my HoofJack to cradle the hoof and as a hoof stand which the horses seem to be very comfortable with too. Making the horses comfortable during the shoeing or trimming process is a key to a stress-free experience for horse, owner and farrier! Our vehicles are equipped with GPS technology to accurately find each location and help us to stay on time. We were also the first farrier practice in New Zealand to offer EFTPOS and credit card as methods of payment in each vehicle. Many clients find this a convenient and efficient way to settle the bill at the time of the appointment. 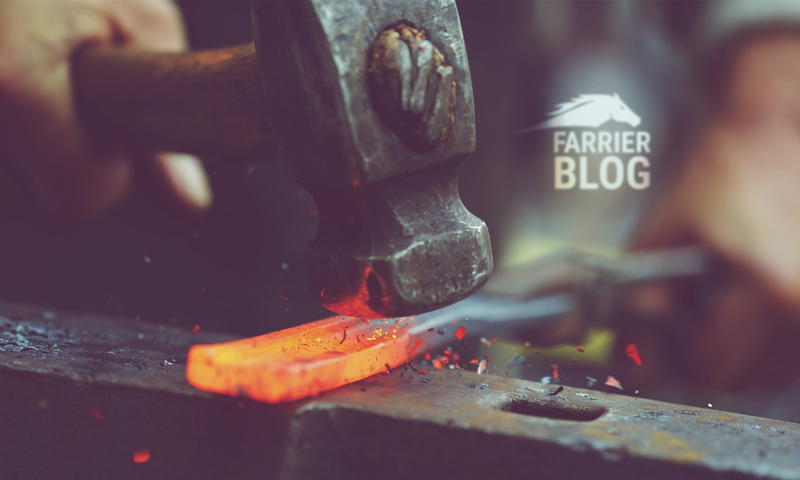 Our farriers are experienced and fully qualified. We like to think we have a sensible and appropriate approach to hoof-care which has been born out of years of experience. Previous PostPrevious Which is the better rasp? Save Edge or Heller Legend?